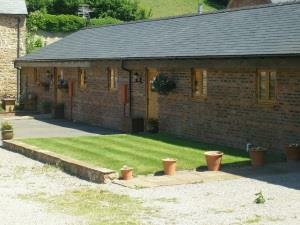 The Cowshed & Dairy Cottages01594 833259work Self-cateringCowshed and Dairy Cottages are near to the village of Newland and are the perfect base from which to discover the Wye Valley and Forest of Dean. Walkers can even explore from the door! The Cowshed & Dairy are finished to exceptional standards with central heating, fitted carpets and high quality fixtures and fittings throughout. Both are single storey with 2 bedrooms sleeping 4 people and have lounge, kitchen, dining area and patio. Well equipped, both the Cowshed and Dairy Cottages can be booked for short breaks throughout the year (subject to availability). We have off-road parking and a secure storage area for your cycles and canoes. Children are very welcome, but we are unable to accept pets except assistance dogs. We look forward to welcoming you at our cottages.